Can the all-new 2017 Acura NSX give the Tesla Model S P100D with Ludicrous Plus Mode a real run for its money? This may be one of the best matchups yet. Of course, the Acura NSX is not a pure-electric car, but it uses three electric motors in combination with its 3.5-liter twin-turbocharged V6. The engine is paired with a slick-shifting nine-speed dual-clutch automatic transmission. The NSX' all-wheel-drive setup churns out 573 horsepower and is capable of a sub-three second zero-to-60-mph sprint and a 191 mph top speed. The electric motors make for instant acceleration until the twin-turbo kicks in with its seamless transmission. The all-wheel-drive Tesla Model S P100D uses two electric motors and a single gear. It delivers 588 horsepower and 920 pound-feet of torque to the wheels. In terms of weight, the Model S rings in at 4,900 lbs. to the NSX' 3,800. The Tesla will cost you $150,000, while the Acura prices out at $190,000. The results of the two races are surely interesting. What is the difference between the first race and the second? Why are the results so inconsistent? Share your thoughts in the comments section. 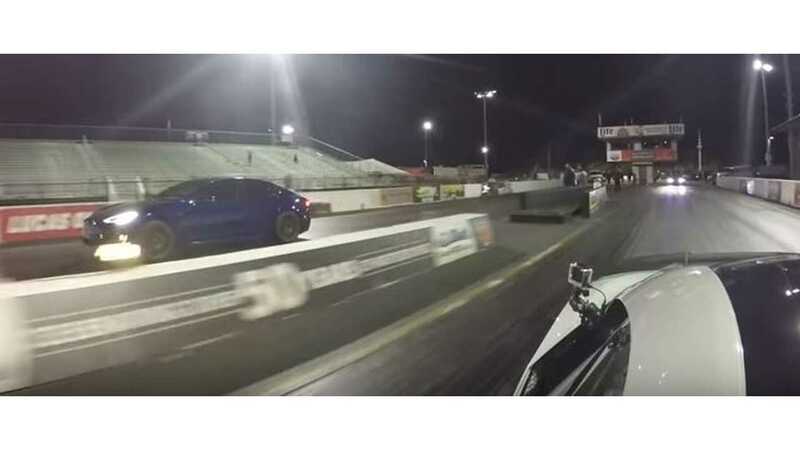 Watch the world's quickest new Acura NSX take on a Tesla Model S P100D with Ludicrous Plus Mode down the 1/4 mile at Palm Beach International Raceway. Can the NSX with 3 electric motors along with a 3.5L Twin Turbocharged V6 and a 9 speed dual clutch transmission take down the Tesla? We have two heads up races with multiple angles along with full VBOX performance data for the Acura NSX during these runs.